On Tuesday, June 5, sequentially numbered wristbands will be distributed beginning at 8:00 AM on Victory Plaza. Wristbands will be distributed until 5:00 PM. The starting number will be drawn randomly at 5:15 PM by a fan. The fan holding the wristband that matches the starting number drawn will be first in line (i.e. if #'s 1 - 100 were issued and number 10 was drawn, the line would start with 10, then 11, 12, 13 through 100 then 1-9). When the starting number is announced, the line will shift accordingly. Beginning at 5:30 PM, all fans with GA tickets and a wristband should begin lining-up in numerical order, beginning with the announced number. The line will be escorted into the GA Pit Area in front of the stage approximately 10 minutes before the rest of the patrons are allowed to enter the venue. The purpose of the random number distribution is to ensure that all patrons have the same chance of being first in line, eliminating the need to camp out. This policy also helps to ensure customer safety and provides for an effective means of crowd control. Parent's Lounge: Jack Daniel's Old No. 7 Club will be the designated Parent's Lounge for all parents/guardians who are bringing children to the show. Parents/Guardians will not require tickets for entry but will be required to remain in the lounge for the duration of the show. No re-entry allowed. 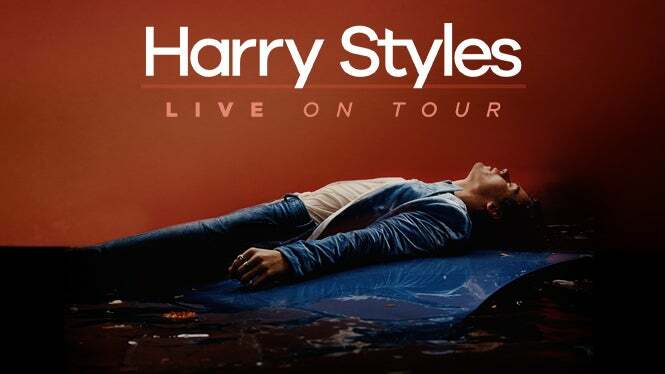 Merchandise: Starting at 12pm on Tuesday, June 5, there will be (2) outdoor locations at American Airlines Center for you to purchase Harry Styles: Live on Tour merchandise. Stands will be located outside of The Hangar Fan Shop on All-Star Way and on Victory Plaza. For important information regarding General Admission tickets, click here. Small point and shoot cameras only. No professional or detachable lens cameras. No audio or video recording devices. No iPads, GoPros, or selfie sticks will be allowed. For more information regarding parking at American Airlines Center, click here. To pre-purchase parking, click here.